Sad news to report by way of the Regina Pats today. 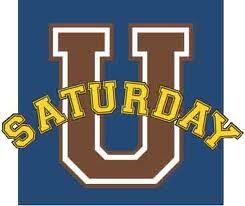 An under-age defenceman is in hospital in Calgary after a car accident in that city early on Saturday morning. The accident has claimed the life of a female occupant in the car who was also from Regina. "The accident took place early this morning in Calgary and I regret that not only has this accident left [the player] in hospital but has resulted in the death of a young lady from Regina. At this point in time we do not know enough details to comment about the circumstances surrounding the accident and we will wait for the authorities to give us this information before we comment. This is an incredibly difficult situation for me and our family as we are close with the young lady who died, as she was a close friend of our daughter. She was a beautiful young lady and she will be missed! Chad [Lang] and Russ [Parker] are in Calgary and at the hospital with [the player] and his family but we do not have a status report on the extent of [the player's] injuries at this time. We ask that both families be shown some courtesy at this difficult time and that all media inquiries be directed through Chad or myself [Brent Parker]. We will update you again later today on [the player's] situation. The tragedy here is the loss of life and we will not lose sight of this but we will support [the player] as a member of our organization as he deals with this situation." *the name of the player has been removed due to his age and Canadian Law. We closed out the month of April with plans to preview the RBC Cup, go over the CHL playoffs, discuss round 2 in the AHL and NHL and speak with the coach of the hottest team in Canada. Some of that came together as planned... some of it didn't. Just two games on the ice tonight in the CHL playoffs, it was Game 5 between Quebec and Gatineau and Game 4 in the Portland and Spokane series. There were 19 goals between the two games though so plenty of action in major junior hockey on Friday. 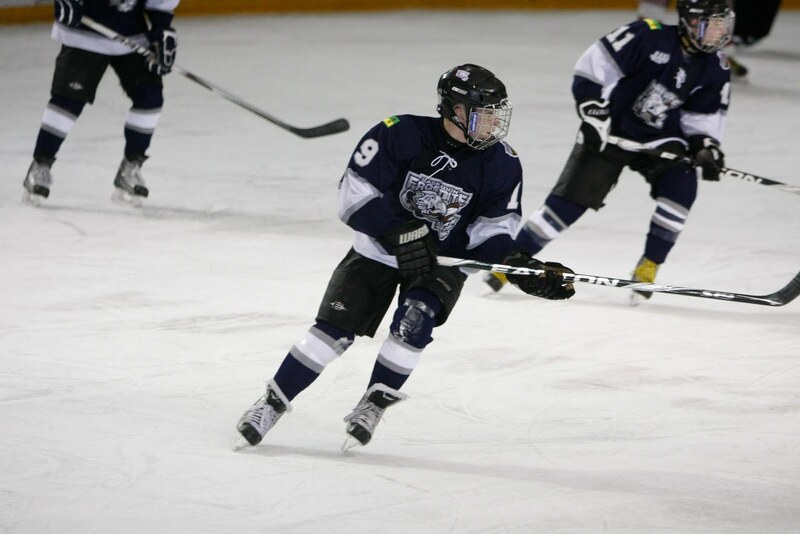 Last week we took a look at some of the top blueliners that are on scouts lists for the May 5th WHL Bantam Draft. This time around we'll go with forwards. A lot of people believe that the first overall pick isn't a slam dunk like last year with Alex Forsberg going to Prince George, but others will tell you they have a definitive first overall player. Keep in mind scouts see players with different view points, they're not robots so while one isn't a fan of a certain a player there are other(s) who are really high on him. And just because a player isn't on a top ten list or even drafted in the top ten doesn't mean they aren't a future star (see Max Reinhart, drafted 15th overall last year, the hottest prospect in the WHL right now). 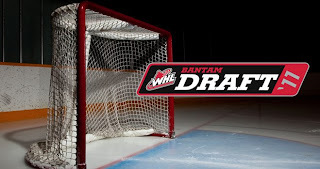 So here it is, ten forwards of all shapes, sizes and skill sets to watch for at next week's Bantam draft and at some point next season in a WHL arena. 2 of the 4 teams have been decided for the 2011 Mastercard Memorial Cup, one Q league finalist has been decided and Mad Max dominates Medicine Hat in Kootenay. It was a wild night in the CHL playoffs. Some news out of Regina today that the Pats have decided not to bring back assistant coach Shaun Sutter and goalie coach Ryan Cyr. GM Chad Lang is quoted in the team's official release and there is also mention that the search for their replacements will "begin immediately". Comments on Rod Pedersen's popular blog have not been ringing with endorsement. Many people are calling for the head of Curtis Hunt, the club's head coach. Hunt, unlike the two assistants, is still under contract for next year. Dean mentioned weeks ago that coaching changes in Regina were on the way. We're told that Lang's evaluation of his coaching staff, presumably that includes Hunt, is still ongoing. The question now is... are the Pats done? Tonight we had a 5 pack of guests and were heavily focused on the 2011 NHL draft as we will be from now until late June. We also spoke to the first ever head coach of Penn State's Division I hockey team and discussed how a head coach with a winning percentage of .414 gets promoted to the General Manager position. The Kingston Frontenacs announced Monday that they would be holding a press conference on Tuesday and speculation began. 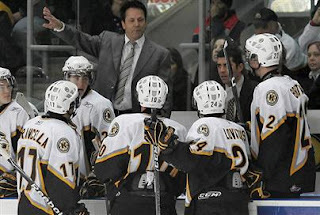 Would it mean the end of former NHL star Doug Gilmour's tenure as head coach of the Frontenacs? Apparently the answer is yes but not because the 75-106 (.414) Gilmour is being let go... he's being promoted to the General Manager position. Gilmour's former Maple Leafs teammate Todd Gill has been named the club's new head coach. No press release yet from the OHL or the Kingston Frontenacs on any of this but friend of TPS Mike Farwell had it on Twitter over the last hour. More on this story as it develops. Here is a brief report from The Canadian Press. The Edmonton Oilers have made official what was speculated here last weak; that Martin Marincin would be signed to an entry level deal. The Slovak defenceman had a terrific year in the WHL with the Prince George Cougars after being chosen 1st overall in the 2010 CHL Import Draft. The native of Kosice Slovakia registered 56 points in 67 WHL games and 5 more in four playoff games. Now the question is "where will he play next year?" Once again TPS will be bringing you an in depth WHL bantam draft preview leading up to the May 5th event. We've polled WHL scouts and compiled a list. 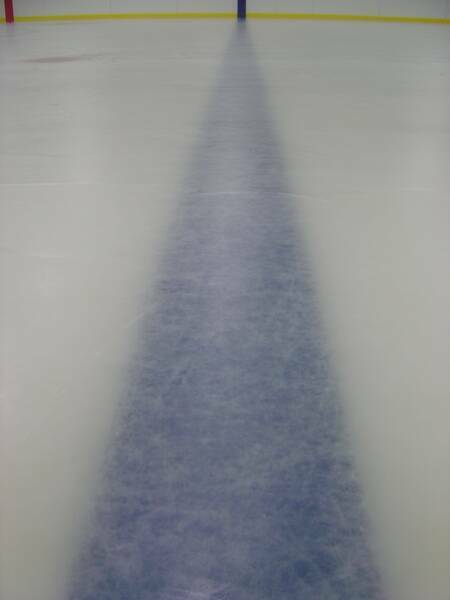 Our first one revolves around blueliners. Who are the blue chippers and who are on the bubble? Read on to find out. After the weekend's action in the Canadian Hockey League, only 2 of the six semi-final series features a team without a loss. As fans would hope for, the best against the best has produced terrific hockey and impossibly close games. You can offer up predictions but things are so tight that any combination of league finals really wouldn't be much of a shocker at this point. Here is a look at where things stand right now across Canada. Edmonton native and until today Princeton Head Coach Guy Gadowsky is heading off to the Big Ten (which will only be 6 teams) conference when Penn State ices a hockey team in 2012-2013. We're seeing more and more kids who grew up in NHL locker rooms suiting up in WHL rinks. Brandon Sutter, Landon Ferraro, David Musil just to name a few, and there seems to be more on the way. This week Portland announced the signing of Brandon Burke who's father is Sean Burke of 18 NHL seasons fame. 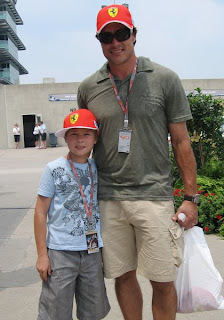 This weekend at the WHL prospect camp in California, there is also an NHL flavour with Eemil Selanne (seen here much younger) and Tyson McLellan who's fathers are the Finnish Flash Teemu and San Jose Shark head coach Todd. McLellan is a no brainer for me as he Todd was very successful behind the bench in Swift Current, but I just assumed that Selanne would head back to Finland when his career wrapped up. But who knows the way he's going maybe him and his son will play together some day in the NHL like Gordie Howe and his kids. Another jam packed show on Saturday as TPS went across Canada and south of the border to bring you the biggest and best in the world of hockey prospect news. We went behind the mic with two play-by-play guys who are now calling semi-final games, we looked at players leaving college teams and some interesting news out of Duluth, we chatted with arguably the top high school player in the Class of 2011 and we discussed an assortment of news and notes too. 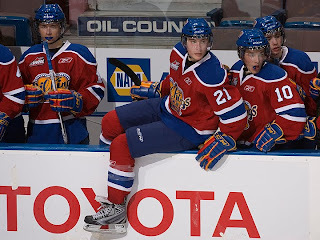 Part one of this series came out a while back with an in-depth report of how the scouting community views Oil Kings forward Dylan Wruck. Since then, the previously unranked Wruck has seen his stock soar and is now slotted in at #99 by Central Scouting on their final rankings. The second part of the "Pickin' Brains" series asked scouts to name the top WHL blueliner available in the Class of 2011. That certainly got a lot of people talking and drew more attention to how close it is between Duncan Siemens and Joe Morrow. 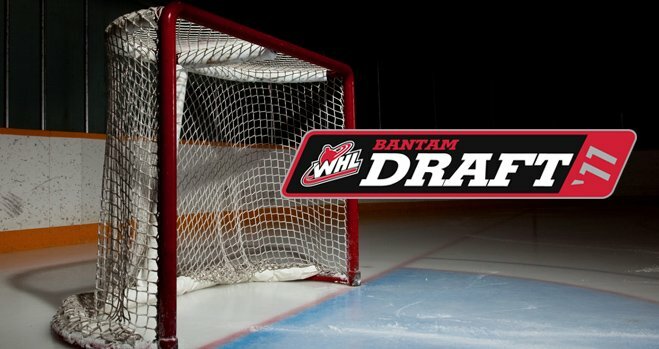 Today we're talking goaltenders in the WHL. For much of the season the Class of 2011 looked weak in terms of future NHL metminders. As the season went on, John Gibson and Christoher Gibson became recognized as the top two pipemen to watch. But what about the crop from the Western league? 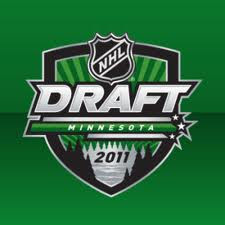 Question #3: Is there a clear cut, top netminder out of the 'Dub for the 2011 NHL Entry Draft? In an extremely anti-climatic press release it has finally been made official: The Chilliwack Bruins are on the move and will play out of Vancouver Island beginning next season. What has been rumored for more than a month and first confirmed on TPS by Sportsnet CHL Insider Sam Cosentino in late March, the Bruins have been sold and will call the Save On Foods Memorial Centre in Victoria their new home. 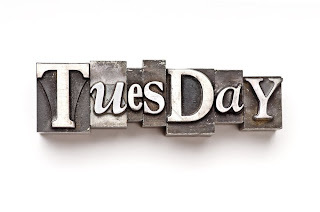 Tuesday night Guy and I had a live studio audience, went coast to coast in the CHL, introduced you to a Texan eligible for the NHL draft and discussed who would be our 4th nominee for the Calder Trophy. There are only 14 CHL teams still active in their respective playoffs, that number will drop to 12 in the next couple of days, then down to 6 within a couple of weeks. With the scouting world still out in full force, it's an opportunity for those players still showcasing their talents for the 2011 NHL Entry Draft and a just the opposite for the big names already done for the year. Oilers Sign Hamilton, is Marincin next? The Oilers announced today they have signed 2010 second round pick Curtis Hamilton to an entry level deal. While Hamilton put up great numbers during the regular season with 82 points in 62 games with Saskatoon the post season he was Jekyll and Hyde. 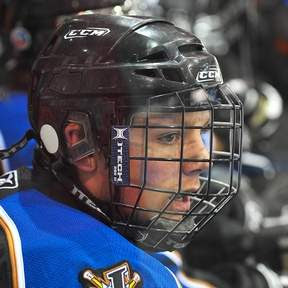 In the first round against Prince Albert, the 6.03 206 pounder put up 10 points in 6 games but was neutralized by Kootenay in round 2 with just a single assist in the fourth and final game. Hamilton was also a member of Canada's World Junior team. 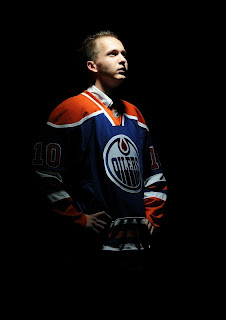 Next year he would be an over-aged player in the WHL meaning he is eligible to play in the AHL with the Oilers farm club in Oklahoma City. What a way to start a National Championship for the Pacific reps the Vancouver NW Giants as they beat up on the Western reps from Winnipeg 12-5. Kootenay Ice Prospect Sam Reinhart scored an amazing 3 goals and 6 assists. His linemates Alex Kerfoot, a 12th round pick by Seattle in 2009 had 2 goals and 5 helpers while Dylan Houck a Giants 2010 pick recorded the hat-trick giving the trio 19 points. 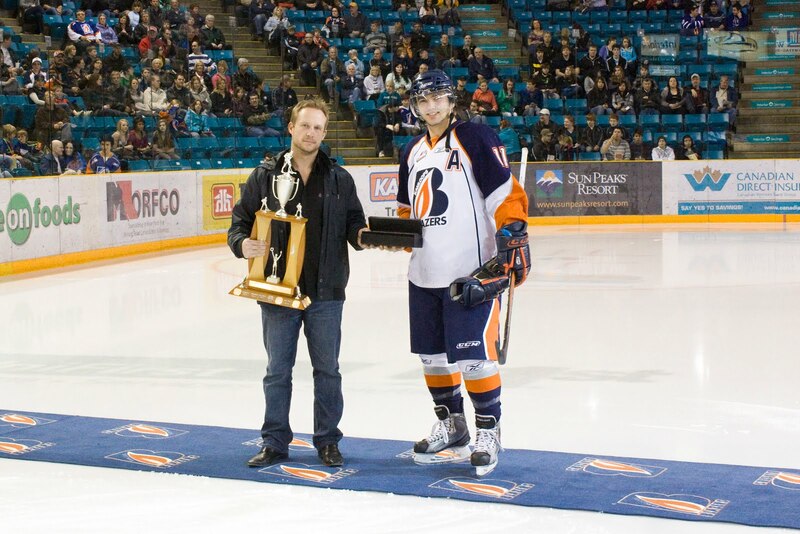 Reinhart you might remember played during the playoffs with Kootenay until he used up his 5 game limit, he actually played for them in between clinching the Pacific title and the TELUS Cup. Continuing with Chapter 6 of his guest blogging series with us is Dylan Willick, forward of the Kamloops Blazers. The native of Prince George, B.C. submitted his first entry to the blog back on November 1st with Part 2 arriving at the end of November. Part 3 came early in 2011. 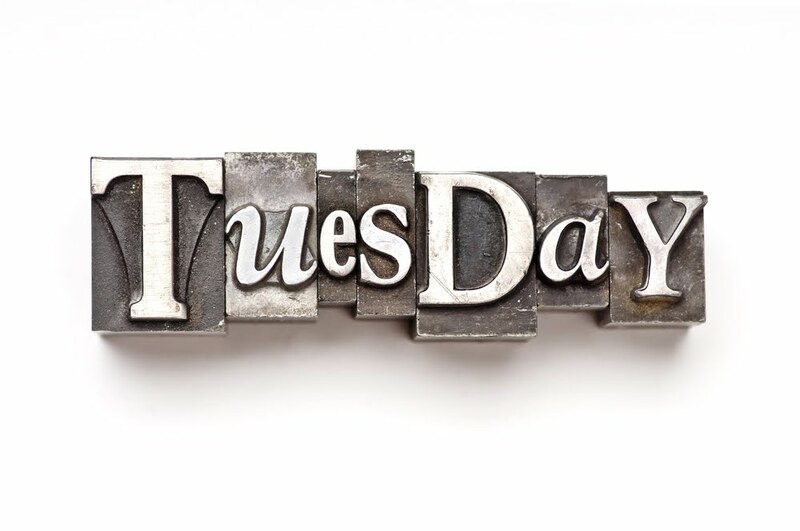 On February we were treated to the 4th installment. Chapter 5 hit screens on March 10th. Since then, Willick's season has come to an end but with the Blazers but some big news came his way in early April. 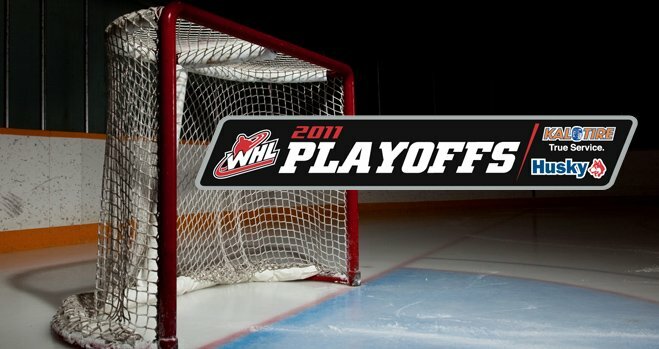 Two big games in the WHL playoffs tonight as one club faced elimination while two others went to overtime looking to take control of their series. Things didn't work out for Kelowna or Tri-City though as Portland dumped the Rockets 4-2 and move on to the Western Final. The Americans now travel to Spokane down 3-2 to the Chiefs with the last two games coming at the Veterans Memorial Arena. We ran the gauntlet of prospect hockey on Saturday morning covering major junior, NCAA, Canadian Jr.A, the AHL and even some NHL stuff too. 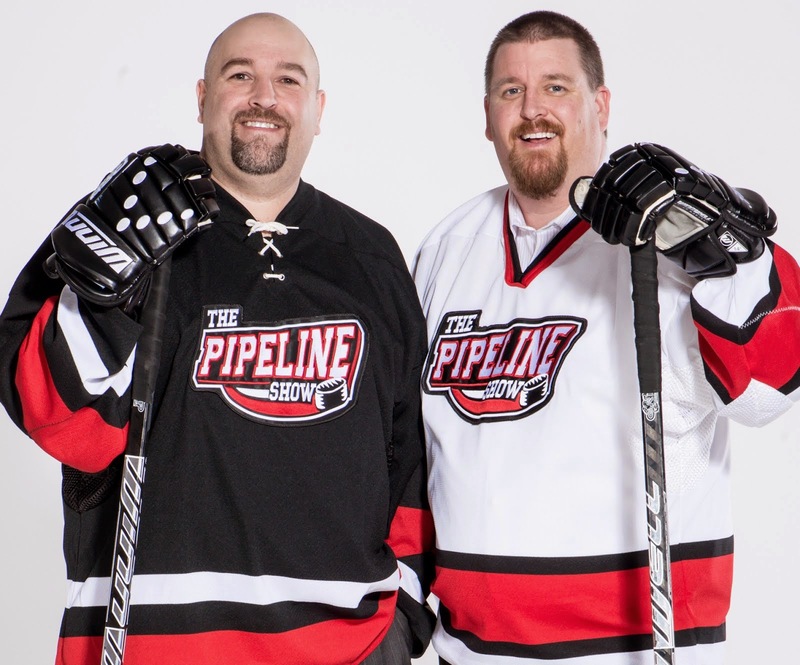 Four guests made their debut appearance on The Pipeline Show as well this weekend. A report surfaced this weekend - citing an anonymous source - that the Regina Pats could be on the move to Chilliwack and replacing the Bruins who will end up in Victoria next year. The tale gets even wilder when it says the Manitoba Moose would take up shop in Regina when the NHL returns to Winnipeg. The Portland Winterhawks may have outshot their opponent 55-38 but it was the Kelowna Rockets who scored the winner in extra time to force a 6th game in their second round WHL playoff series. Jessey Astles had 4 goals after two seasons in the WHL but he's got 3 in just 9 playoff games this Spring, the biggest one coming on Friday night. The 2011 World U18 Championship is underway and Canada has won its first game of the tournament in shutout fashion. A 5-0 blanking of the Czech Republic a day after the same team had beaten Sweden was a solid way to begin the week for Canada. Defenceman Ryan Murphy (Kitchener) had a goal and two assists, Mark Scheifele (Barrie) scored twice and Malcolm Subban (Belleville) made 26 saves in the win. Greyhounds Go Young With New G.M. What a wild one in Kennewick Washington tonight as the Tri City Americans edged Spokane 4-3 in double overtime. Defenceman Tyler Schmidt scored 11 times in the regular season and picked a fine time to notch his first of the second season 2 and a half minutes into the second 'next goal wins' time. San Jose appears to have done it again. One of the more aggressive franchises in the NHL when it comes to signing collegiate free agents, the Sharks are reportedly circling Minnesota Duluth star forward Mike Connolly. 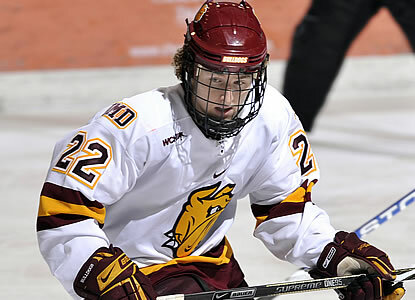 USCHO.com spoke with both Connolly and UMD head coach Scott Sandelin and Kevin Pates is reporting contract details on Twitter. Saskatoon may be the #2 ranked team in Canada but it's the Kootenay Ice moving on to the WHL's Eastern Conference finals after completing the sweep of the Blades on Wednesday night. A 4-point effort from Matt Fraser (DAL) led Kootenay to a 5-2 victory at home putting an end to the season for the team many expected to represent the WHL in Mississauga. 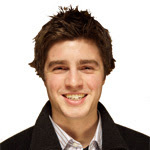 As heard last night on The Pipeline Show via our CHL insider Sam Cosentino (Sportsnet), the Soo Greyhounds are expected to name Kyle Dubas as their new General Manager. The 25-year-old worked 8 years for the OHL team as a scout but was most recently employed by Uptown Sports Management Inc. as the youngest agent ever to be an NHLPA certified. Neate Sager from Yahoo! has an update today which includes links to various activity on Twitter that substantiates the rumors. Dean reported on this blog a week ago that Pittsburgh scout Ron Pyette had interviewed. I can tell you of a third person, Edmonton Oilers scout James McGregor, also met with the Greyhounds last week about the vacant position with the team. A press conference has been set for Friday where the Greyhounds will make their decision official. It would be insulting to the Kootenay Ice and Medicine Hat Tigers if you were shocked to see them both one win away from the second round of the WHL playoffs. But there's no doubt that it's surprising to see how they've neutralized their favoured opponents Saskatoon and Red Deer. Tonight marked the return of the Prospect Guru Guy Flaming who as on the road last week at the Frozen Four, and it also meant he started another run, as missing last Tuesday's show broke his 268 consecutive show streak. The NCAA national championship was on the docket as well as the NHL draft lottery, Central Scouting's final list and the CHL Playoffs. After a rather lengthy travel day on Monday, a 'milk run' as Dean would put it, I'm back in the saddle and back in Canada. The trip to Minnesota was much different than what I expected and yet, better than I could have hoped for. It will be a working vacation that I won't soon forget for a number of reasons. The NHL Central Scouting Bureau released it's final rankings today and there was quite a bit of movement near the top compared to the mid term rankings, but that's to be expected as some guys have started to separate themselves from the pack. It was a historic night in St. Paul on Saturday as the University of Duluth Bulldogs captured their first ever national title with a thrilling 3-2 overtime victory over the Michigan Wolverines. The game featured lead changes, a disallowed goal, a score of penalties and a boisterous crowd, all inside a fantastic venue. It was an extremely memorable night of hockey. The NCAA National Champion in hockey will be decided on Saturday in St. Paul Minnesota in a game featuring the Michigan Wolverines and the Duluth Bulldogs. 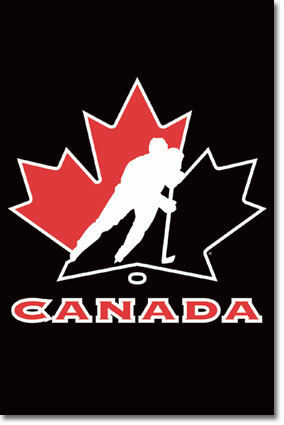 There are 11 Canadians combined between the two teams and 17 players in all have already been drafted by NHL clubs. On top of that, half a dozen more are undrafted free agents with NHL teams circling nearby, armed with a pen and contract. 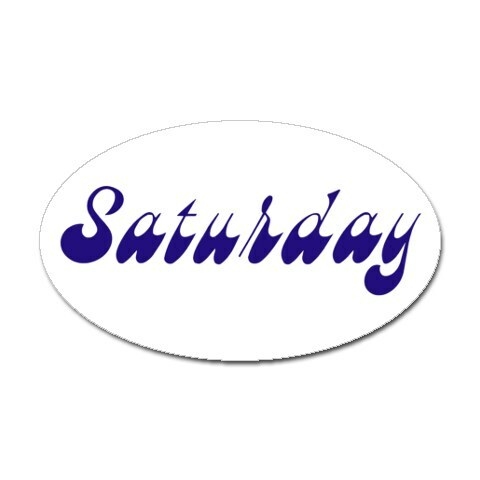 There is definitely a lot to watch for in Saturday's game but it's unfortunate that if you live in most of Canada, you'll have to be ultra-creative to actually see it. "The best team doesn't always win." That was Michigan head coach Red Berenson's succinct explanation of his team's 2-0 upset win over heavily favored North Dakota last night in Minnesota. The Wolverines got a first period goal from senior Ben Winnett (TOR), withstood 40 shots from UND and then added an empty net goal from another senior, Scooter Vaughan, to advance to Saturday's National Championship game. From a Penguin to a Greyhound? The Soo Greyhounds could be close to filling their vacant General Manager position. 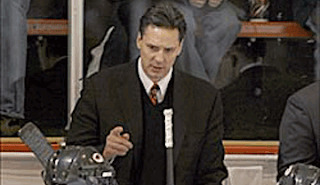 Several sources have told TPS that Ron Pyette, currently a Pittsburgh Penguins scout is the favourite to get the job. We've been told that Pyette interviewed last week and could be named GM by April 15th. The move makes sense as Pyette is from Sault St. Marie according to his bio from his time with Hockey Canada, which would make the move from his now home town of Calgary much easier. Every person I have talked to today has had nothing but good things to say about the current Penguins scout, from his time with Hockey Canada to his job as an NHL scout. I'm told he always takes the time to talk to coaches and get to know the person, not just the player. 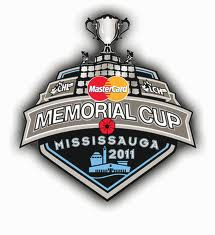 Most people, including us thought Saint John was a shoe in to host the 2012 Mastercard Memorial Cup, but to paraphrase an old cliche, that's why they have a bidding process. It seems that Shawinigan outplayed the Sea Dogs and in the end were chosen by an independent selection committee to host the CHL's grand finale. The Cataractes finished 7th overall in the Q this year and after beating PEI in 5 games they are now facing Quebec in round 2. Meanwhile Baie-Comeau won the QMJHL draft lottery, stealing the first overall pick from last place Rouyn-Noranda. Now we'll wait to see if Rimouski makes a play for the first overall pick as the Oceanic have been hungry to get Nathan McKinnon. The Moose Jaw Warriors as we speculated a few weeks ago are looking for a new Head Coach after G.M. 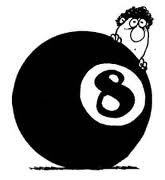 Alan Millar elected not to renew the contract of Dave Hunchak. Hunchak's time with Moose Jaw was interesting. He was behind the bench for 4 years and was passed over for the GM job when the tribe brought in Millar from the OHL. Despite winning 40 games this year, just the 3rd coach in Moose Jaw history to do it, he wasn't the GM's choice so it's not shocking. Not winning a playoff round in 4 years is the stock answer you will likely get about why the decision was made. As for the future of Assistant Coach Trevor Weisgerber, TPS was told a while ago that he has an option for next year, but it's a team option. Mike Vandenberghe joined the team midway through the season after a stint in Brandon, is likely a free agent, but we have been told that the Warriors really liked what he brought to the team. Is it enough to earn him a shot a the head job? Or will he and Weisgerber resurface on another WHL bench? Their fate is being decided as I write this in meeting with the GM. One other note from the Warriors, start forward Quentin Howden signed with the Florida Panthers. The forward who suited up for Canada at the WJC scored 40 goals this year and put up 79 points. 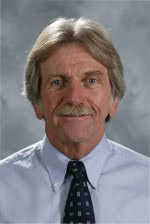 It's a sad day in the hockey world with news that NHL Central Scouting head man EJ McGuire has passed away. McGuire had been in a short battle with Cancer and was 58 years old. For anyone that ever dealt with EJ they would have to be crazy to come away with anything but a smile on their face. He really was one of the great guys in the game. As the boss for NHL Central Scouting he was always busy watching games or talking about prospects, but always had time for Guy and myself. EJ said some very flattering things about our show, and it really meant a lot to Guy and I that such a well respected man even knew who we were. In talking to some of his colleagues it was evident that EJ was one of the most well liked and respected people in the game of hockey. He shaped so many people in so many different ways, from coaching to scouting and always was nothing but professional and polite. He didn't care if you came from the CHL, NCAA, USHL, or Junior A, if you were a good prospect then that's what you were. Our thoughts and prayers go out to EJ's wife Terry and his two daughters Jacqueline and Erin. The marquee NCAA event has criss-crossed the United States, it's been held in hockey mad markets, football stadiums, cities without Division 1 college programs and in places where the only ice you find is in your drink. Most of the time the Frozen Four has been successful but other times it has not and in some of those cases, it's a bit surprising. But considering all of the creative ways the NCAA has come up with the celebrate the championship weekend of the sport, it's never left the country. 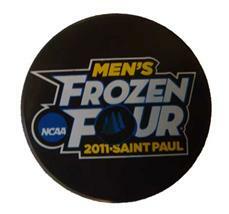 Is it plausible to think that one day, the Frozen Four might be held in Canada? 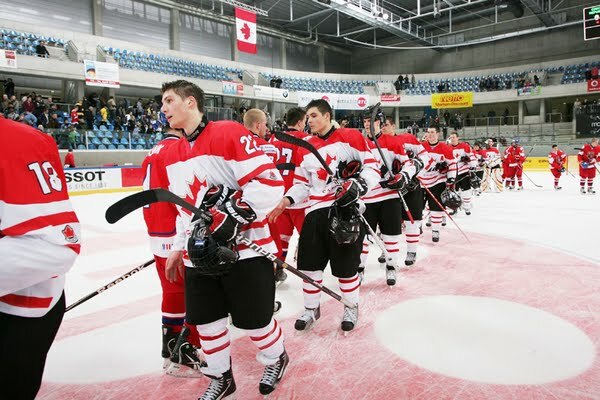 Canada released it's U18 roster that will try and win gold at the World Championship later this month. The club got together in Toronto today this and leave for Germany Thursday with 7 players who aren't eligible until the 2012 draft. 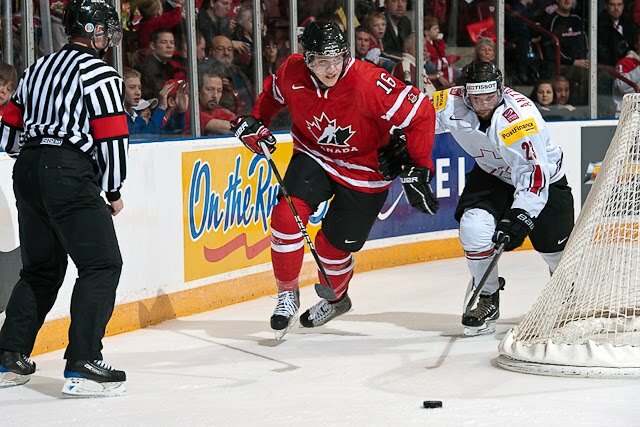 Hockey Canada Head Scout Kevin Prendergast told us on Saturday that there could be as many as four 2012 blueliners on the team and he lived up to his prediction. Morgan Rielly (as reported on this blog Tuesday) of Moose Jaw, Slater Koekkoek of Peterborough, Cody Ceci of Ottawa and Ryan Murray of Everett are the 4 youngsters that will patrol the blueline. Malcolm Subban who minded the twine for Belleville this year is the likely starter, and he is also a 2012 draft eligible goaltender. Up front Charles Simard-Hudon of Chicoutimi is the lone 16 year old forward. There are 14 OHL, 2 QMJHL and 6 WHL players, which might surprise some with a WHL head coach, but with this team it's all about availability as so many teams are still involved in CHL playoffs. I would expect Ryan Murray, who played and captained this team last year as an underaged player to wear the C again. Ryan Murphy and Mark McNeill are good choices in my opinion as assistant captains. Canada will be trying to improve on last year's 7th place finish. Jonathan Toews, Dany Heatley, Andrew Cogliano, Dan Bertram, Jeff Tambellini, David LeNevue, Mike Cammalleri, Dylan Olsen, Mike Van Ryn, Cody Goloubef and Paul Kariya. All past members of Canada's World Junior team who came to the team from the ranks of NCAA hockey. Despite the fact that the vast majority of Canada's roster historically comes from the CHL, collegians have played a key role in the past. But not behind the bench. According to Scott Salmond, the Senior Director of Hockey Operations for Hockey Canada, a Canadian born NCAA coach has never been on the staff for a Canadian U20 team. I can't honestly say that I'm surprised by that but my question is... why? TPS has learned that the Tri-City Americans are about to finalize the signing of 1st round pick Eric Comrie. The netminder was stellar for Team Alberta at the 2011 Canada Games and we knew that GM Bob Tory was taking in the event. Expect an announcement some time on Thursday. Tonight we previewed the NCAA Hockey Championship taking place in Minnesota this weekend. That's where Guy is now, and we also went inside the CHL with our Insider Sam Cosentino. I know we're still over 2 months away from the 2011 draft but watching the post season this year made us realize how good the crop of defenceman is for the 2012 draft. There will likely be 5 first rounders from the WHL alone, and some think that of the 30 first round picks next year, 15 could be blueliners. the 09 and 08 drafts featured 12 each, while the draft some think is the best in years, the 2003 crop, produced just 7 rearguards in the first round. 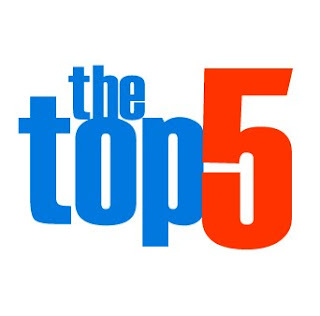 Here now are 5 from the WHL you need to check out. The Medicine Hat Tigers took their first lead of their first round series with Brandon after winning game 5. 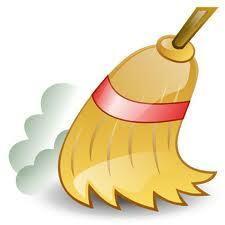 They closed out the deal tonight in Winnipeg with a victory over Brandon, taking the series 4-2. The Wheat Kings had the Tigers on the ropes in game 5 with a pair of 3 goal leads but Medicine Hat roared back and scored the game winner with 25 seconds to go. Tonight they didn't need a comeback as they jumped in front for good in the 2nd and never looked back. The Wheat Kings actually had the advantage in the first outshooting Medicine Hat 12-6 but Devan Dubyk was perfect and his teammates gave him a 2-0 lead. The Tigers scored 55 seconds into the second frame and built up a 5-2 lead after 40 minutes. Brandon actually outscored Medicine Hat 3-2 in the 3rd but it wasn't enough as the Tigers take it 7-5. Emerson Etem scored twice for the Tigers while Michael Ferland had a hattrick for Brandon. Here now is a look at the second round match ups. 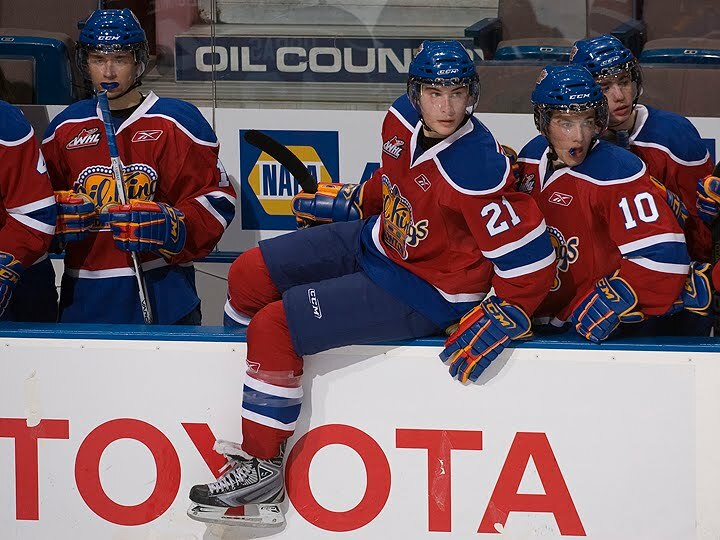 The Edmonton Oil Kings were bounced from the playoffs last week, but for atleast one player the season will continue. TPS has learned that guest blogger Travis Ewanyk has been selected to play in the U18 World Championship starting April 14th in Germany. Sad news today in the hockey world as it has been announced that Mandi Schwartz lost her fight with cancer this morning. According to Hero Support, a advocacy group in support of stem cell transplants, "Mandi Schwartz passed away at 10:35 am PST surrounded by her wonderful family, fiance and friends." She was just 23-years-old. 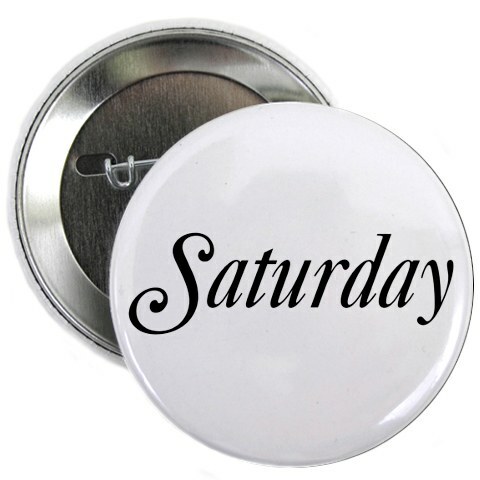 The mention on Twitter can be found here. A press release from Yale has now also delivered the news and offers some background on the story for those not familiar with it already. Her long battle against cancer has been well documented and her courageous determination inspired everyone who knew her and many who only knew of her. Condolences go out to her family from everyone involved with The Pipeline Show. Spokane booked it's ticket to round 2 and a date with Tri City after a 6-4 win over Chilliwack, winning the series 4-1. Blake Gal lit it up with a hatty including the game winner, Mitch Holmberg scored twice and Levko Koper had 3 points and was +4. A scout I spoke to Friday night told me he thinks the Chiefs are the best junior team - meaning they have the best junior players, not just the best NHL prospects - and we asked Chiefs voice Mike Boyle Saturday morning about that. He told us this year's version reminds him of the '08 Memorial Cup championship team. It was quite a diverse guest list that graced The Pipeline Show on Saturday. We had a former NHL head coach turned ESPN analyst, a junior goaltender looking to make Memorial Cup history, the head scout of a National program, the voice of a legitimate WHL contender not getting the media respect they deserve and our weekly visit from our NHL Insider.